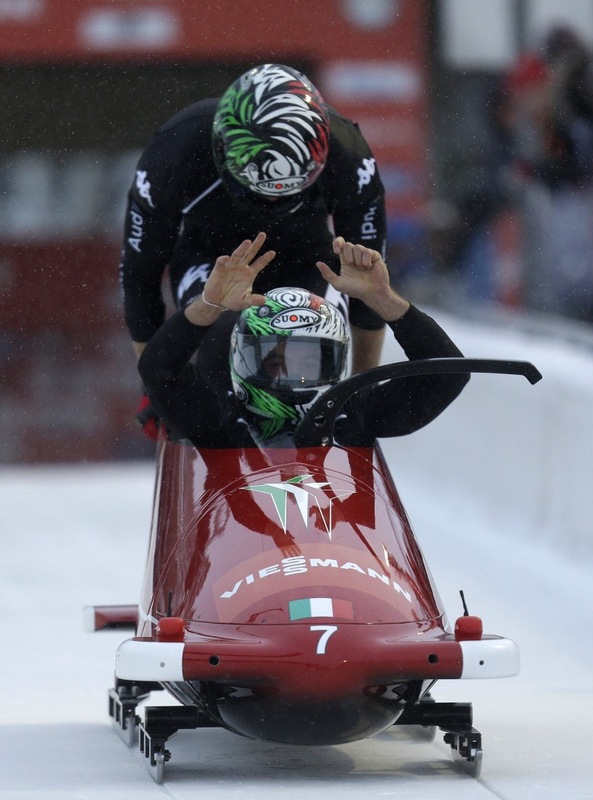 SOCHI, Russia — An Italian bobsledder was kicked out of the Olympics on Friday for doping. The Italian Olympic Committee confirmed the expulsion in a statement. It said that the bobsledder, William Frullani, tested positive for the banned substance dymetylpentylamine on Feb. 18, and then again in a second test Friday. “The athlete was immediately dropped from the team and left the Olympic Village,” the team said. The German Olympic Committee also said Friday that one of its athletes had failed a doping test. The team did not name the athlete, and it was awaiting the results of a second day later in the day. Frullani, 34, was the brakeman on Italy’s four-man bobsled team. The final is set for Sunday, one of the last events of the Winter Olympics. Italy said it had received International Olympic Committee permission to replace him with Samuele Romanini, a backup.